The Ventura Marlin porch awning is highly practical and very well suited to touring caravanners. For those caravanners not looking to put up a full size awning, the Marlin still provides a quite substantial extra space with a width of 3.4 metres and a depth of 2.3 metres. 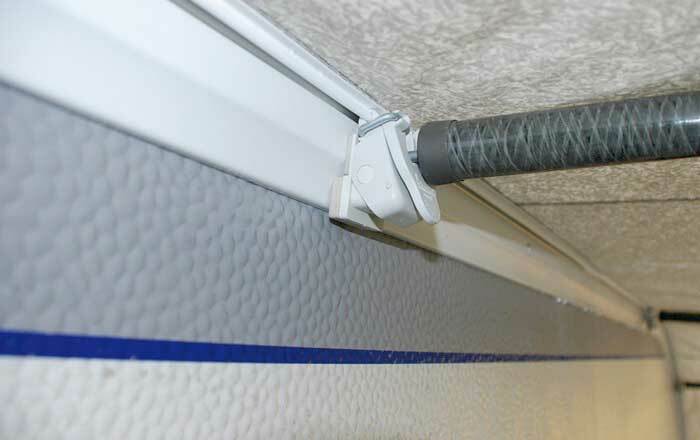 It is suitable for fitting to caravans with a height of between 235cm and 250cm. The main fabric of the Ventura Marlin is Tencate Polyester, a polyester material that is coated on one side so that it is light and can be easily wiped clean, reducing maintenance. 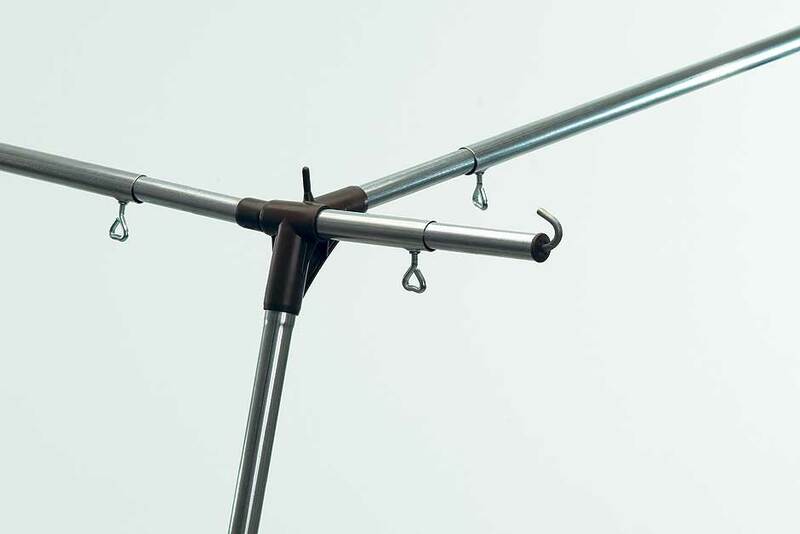 The Marlin is supplied with Ventura's IXL fibreglass poles making the awning easy to put up. These lightweight poles reduce the weight that has to be carried around and transported. With regards to ventilation the Marlin has some useful features such as the window with a mosquito net built in - no need to sit in an over hot awning because you don't want to open the window and let the insects in. All panels in the Marlin can be either folded down or removed - the choice is yours. Having ventilation options is all well and good, but you don't want unwanted draughts or places where rain can gain entry. 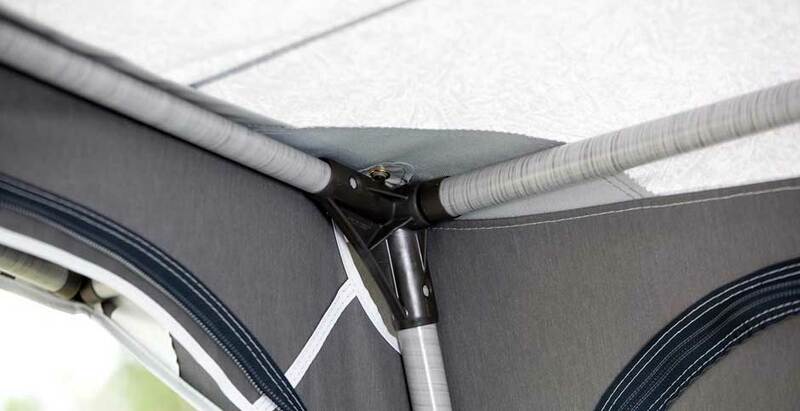 The Marlin will make a good seal against your caravan thanks to the provision of sewn-in pads and connection set supplied as standard. 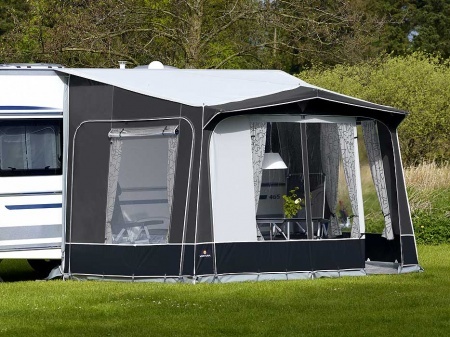 The Ventura Marlin comes with a number of items as standard which include, screw-free FixOn Multi fittings, a set of curtains, a draught skirt, a standard wheel arch cover, an awning bag, a pole bag and a peg bag. Frame Type: Lightweight IXL Fibreglass - a lightweight and corrosion resistant frame. Main Material: Ventex - An Acrylate material coated on one side. VenTex polyester is light, wipeable, and reduces condensation.